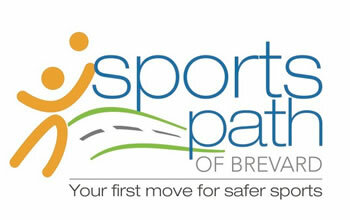 Sports Path (a specialty division of Taylor Made Therapies) – is dedicated to educating parents, coaches, Physical Education teachers, medical professionals and the community at large about the importance of Baseline Neurological Testing for Young Athletes. Baseline neurocognitive tests are fast, simple and computer based. They evaluate the healthy athlete’s decision-making ability, reaction time, attention and memory. This test provides a baseline of cognitive function. As your child’s sports season continues, and when a concerning impact occurs, the athlete can be retested. Results will then be compared with initial findings to assist athletic trainers, administrators, coaches and parents in determining when a child can safely resume sports. 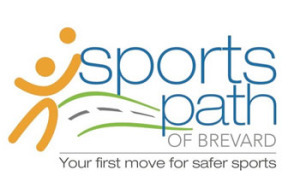 Sports Path administers the ImPACT (Immediate Post Concussion and Cognitive Testing) Test, which is widely regarded as the definitive sports concussion evaluation tool. This test currently is being used by the NFL, NHL, NBA and USA Olympic Team, among other university and high school sports teams and can be a valuable tool for parents and healthcare professionals who must decide whether – and when – players can return to the field. The fee for this test in only $25. Today, more young athletes are entering into competitive sports such as soccer, basketball and football. Youth leagues are a popular phenomenon across America and some pee-wee leagues allow children as young as 4 years old to play in sports where head injuries might occur through physical contact with another player, impact from a fall or contact with a playing object such as a ball hitting the head. For the young children, neck muscles aren’t even developed enough to fully support a football helmet. The rates of Traumatic Brain Injury (TBI)- related Emergency Department visits from 2007 to 2010 increased by as much as 50% among young athletes ages 0-24, according to data from Nationwide Children’s Hospital. How Do I Know if My Young Athlete Has a Concussion? Symptoms of concussion can be vague and easily misunderstood. Minor complaints such as headaches, fatigue and irritability can all signal a Traumatic Brain Injury. What’s more, returning a player to a sport before the brain has completely had the chance to heal can present an opportunity for re-injury that could be much more dangerous. It’s Not Worth the Risk If a $25 test can assure the ability to measure how badly your child gets injured from playing youth sports and help you determine next steps on treatment (or help you decide whether your child is ready to play again…), isn’t it worthwhile?